Every bride looks for extra special wedding favours that is eye-catching, personal and just a little bit sassy. Modern brides and old fashioned girls all know that it is about the finishing touches. Finding something traditional, beautiful yet fun for the table can be a challenge, but we can offer that something special. Being a boutique label we don’t demand a minimum order, so we can cater for weddings of any size. We love using our Honey Nougat as a wedding favour. The foodies at your wedding will be in raptures and the wrapping will give the table a wonderful classic feel. A beautiful gift for your guests. Our Salted Butter Caramel Churns can be placed onto the centre of the table at coffee time. 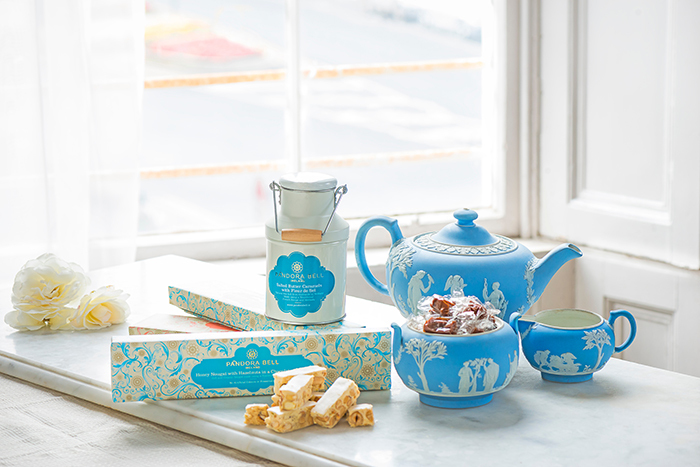 The perfect accompaniment after dinner and the mini milk churn is country chic at its finest. If you are planning Sweet Buffet, we have large Kilner jars of Butter Fudge and Irish Cream Liqueur Fudge. A Sweet display is not just for the kids, our creamy rich fudge appeals to all ages. Pandora’s personalized classic swirly lollipops have the couple’s names and wedding date printed on each lollipop. Our Handmade Lollipops are made in the traditional way, by stretching and rolling sugar syrup. 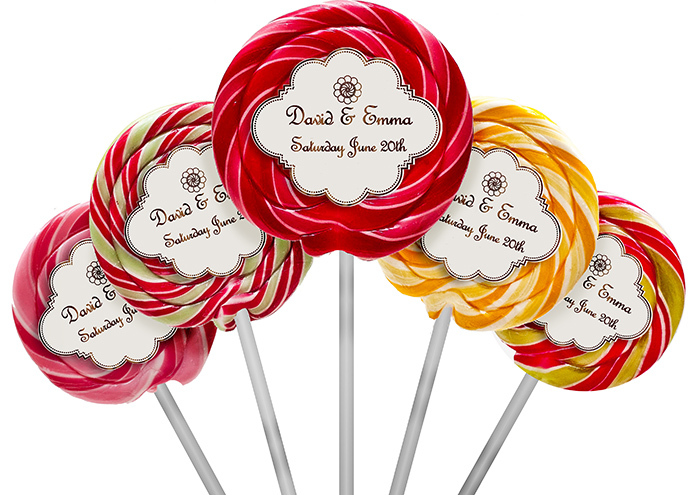 The only extras are natural colours and flavours, to make the lollipops look pretty and taste gorgeous.